The University of Maryland announced its new chief diversity officer on Thursday afternoon. School officials called Roger L. Worthington, Ph.D, "a national leader in diversity education" in a press release announcing their selection, following a months-long search. Worthington will serve as interim associate provost and chief diversity officer (CDO). The university's previous CDO, Kumea Shorter-Gooden, announced her resignation in January, the Diamondback reported. As CDO, Worthington will work with others to "advance diversity, equity, inclusion and respect as core institutional values," the release said. Following the killing of Bowie State University student Army Lt. Richard Collins III on UMd. 's campus in May, the university has sought to battle hate on campus. The slaying made headlines as a possible hate crime, although the FBI and the Prince George's County state's attorney have said that determination would take more time. "The tragic and senseless murder on our campus of 2nd Lt. Richard Collins III has shaken us all," UMd. President Wallace Loh wrote in a letter to the university community Thursday announcing Worthington's appointment. "We have begun an intensive effort to combat the rising incidents of racism, hate, and violence that are spreading across the country." Worthington has been with UMd. since 2014 as professor and chair of the Department of Counseling, Higher Education and Special Education in the university's College of Education. He previously served as a professor, chief diversity officer and assistant deputy chancellor at the University of Missouri, according to UMd. 's release. "I have dedicated my life's work to advancing difficult dialogues and creating a culture of inclusion in higher education," Worthington said in the university press release. 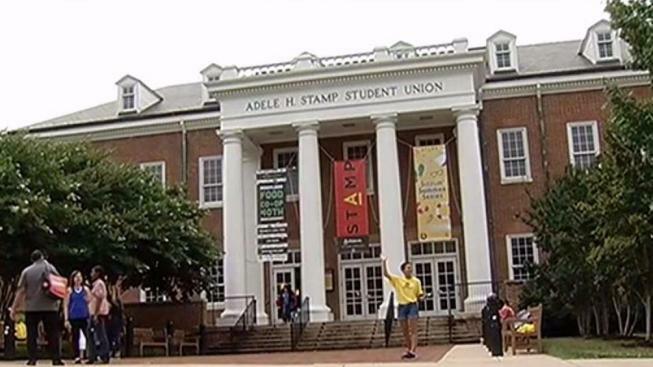 "The University of Maryland was once a national leader for diversity in higher education. In the face of tremendous tragedy, we can come together as a community to achieve transformational change and return to being a model of equity and social justice." The university said Worthington has extensive experience researching and working with diversity issues. The CDO position will eventually be elevated to the position of vice president of diversity and inclusion, the release said. Worthington will also serve as a member of the President's Cabinet, the Provost's Cabinet and the Deans' Council, according to the university.